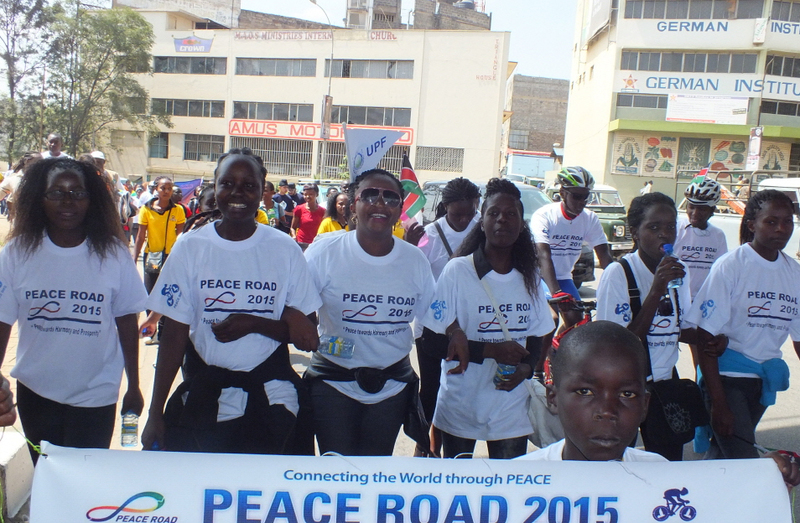 FFWPU Kenya: On July 11, Kenya launched Peace Road in the Nairobi City at 10.00 am. The launching was held at Uhuru Park. The participants dressed in Peace Road T- shirts and carried the flags. Several religious organizations and NGOs took part in the ceremony. The sub-regional representative Rev. Mwalagho Kililo and our national leader Rev. 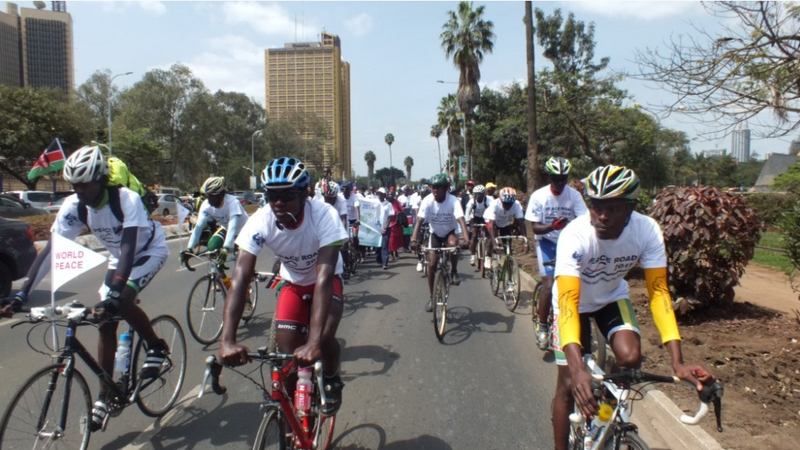 Emmanuel Tanui led a crowd of more than 500 participants that included FFWPU members, peace organizations, Ambassadors for Peace, The Kenya Clergy Association, college students and officials from the sponsoring companies.